One of the buildings that makes up the Université de Paris is the Sorbonne. It is located just off the boulevard Saint Michel, right across from the rue de Vaugirard. 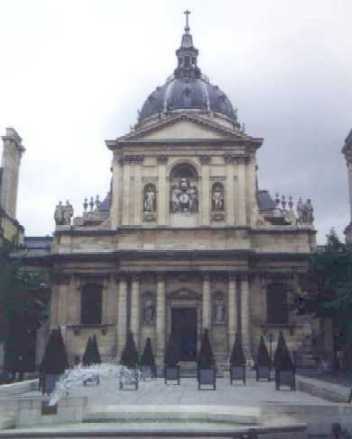 The Sorbonne was founded by in 1257 by Robert de Sorbon, the French theologian. It is the most famous of the colleges making up the original University of Paris in the 13th and 14th enturies. Some people mistakingly think that the University of Paris is The Sorbonne!